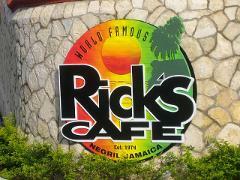 Enjoy authentic Jamaica in the great ambiance of the Rick's Cafe, a premier gathering spot in the Capital of Casual. Enjoy 2 beautiful waterfalls, 21 natural pools, 52 types of ferns and lots of exotic flowers, plant species, birds, butterflies and wildlife native to Jamaica as you journey on your eco-adventure. 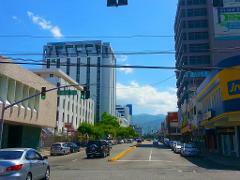 Experience a taste of Jamaica’s Capital City on this day tour. Journey along lush vegetation, mountains and rivers as we make our way to the Capital City - the melting pot of Jamaica's heritage, culture and culinary delights. Booby Cay is ideal for those who want to enjoy water sports, for photographers, bird-watchers, and for sunbathers. 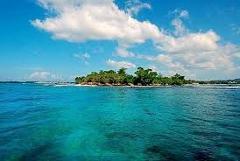 You can relax well at this island after enjoying a nice swim. 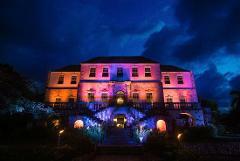 If you're looking for something to do in Jamaica, the Rose Hall Great House is a great choice. You’re sure to feel goose bumps as these eerie tales come to life in this grand estate, where ghost sightings have been reported over the years. Take a ride on Jamaica’s scenic South Coast to one of Jamaica’s most beautiful and spectacular waterfalls; the YS Falls followed by a visit to Floyd’s Pelican Bar the ultimate spot to hang with a cold Red Stripe Beer! 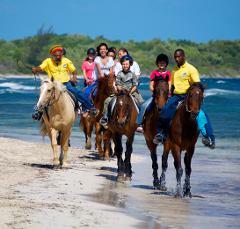 Plan a visit for some Horseback riding, jungle river tubing and a boat tour on the famous luminous lagoon in the scenic countryside of Falmouth, Jamaica. This combination tour provides enough thrills for the avid adventure seeker! 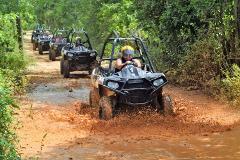 Enjoy an exciting ATV adventure through acres of Jamaican wildlife. 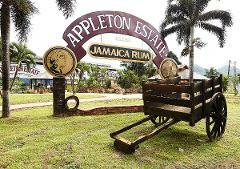 Go off-road and stop for pictures at spots with amazing views of the Jamaican Countryside. 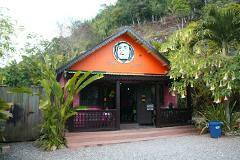 Have a Mystical Experience at Nine Miles, the birthplace of Bob Marley. Take in the world-famous Rastafarian religion, culture, and practices - a must for every reggae enthusiast! 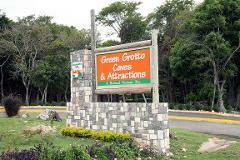 Dunn's River Falls, a popular tourist attraction, is a famous waterfall near Ocho Rios, Jamaica. It is 180 feet high and 600 feet long. The waterfalls is terraced with natural steps for climbing. It is the most climbed falls in the world. 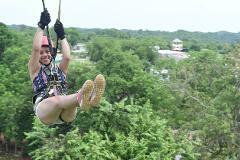 This Zipline tour is the perfect getaway for adventure lovers! The state of the art facilities features eight towers that soar 60ft high, with 2450ft of zip-lines for a truly breathtaking experience to remember. 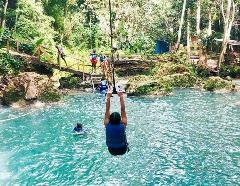 Come with us on an Epic Rain-forest Adventure through the hills of Ocho Rios and experience the Jamaican way of life! 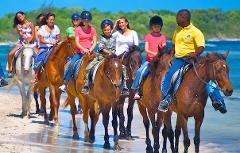 A truly fun and memorable equestrian experience for the whole family this horseback tour is .... come and enjoy. Why wait and risk not getting your ticket for Dream Weekend, Jamaica’s #1 and most anticipated music festival held on the white sand beaches of Negril, Jamaica. 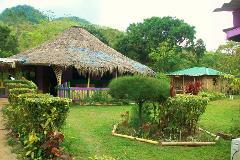 Remember Jamaica with this souvenir package offered by El Sol Vida tours. 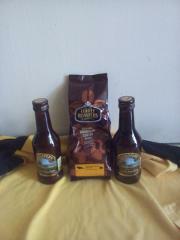 Take back the Jamaican experience with you and share it with the world!